Carpets | Beckenham Carpets Ltd.
We sell and fit a wide range of carpets, designed to meet all needs. Nothing beats the warmth and cosiness of a carpet underfoot, and with a high-quality range of carpets available, we have plenty of choice for you. Carpets can be used throughout the home, so explore our range and choose the look and feel that is right for you. Carpets work in both traditional and contemporary properties. 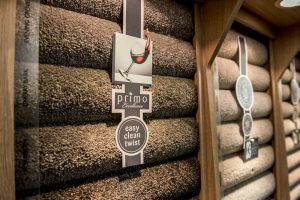 Make your house a home with one of our beautiful carpets – pop into our showroom or book in a visit where we can show you some samples. Call 020 8663 3548 or email info@beckenhamcarpets.co.uk. There are three main types of carpet: loop pile, manmade and wool. Each has its own benefits and will meet different requirements. Much of the difference is aesthetic, so you can choose the look and feel you would like for your home. If you’re not sure what you need, we will be more than happy to advise. 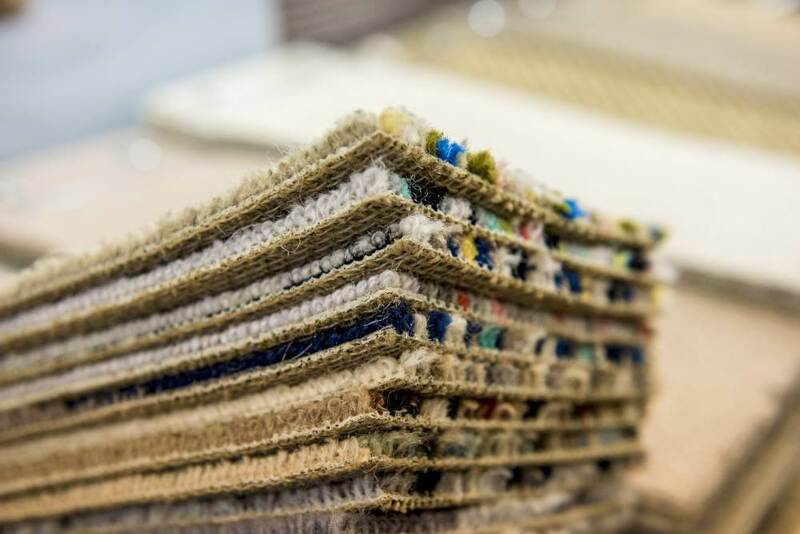 Made from loops of yarn, loop pile carpets have a textured appearance. This can make them more hardwearing, so they are popular for high traffic areas. There are two main types of manmade carpet – nylon and polypropylene. Polypropylene is more stain resistant, and nylon is highly customisable. 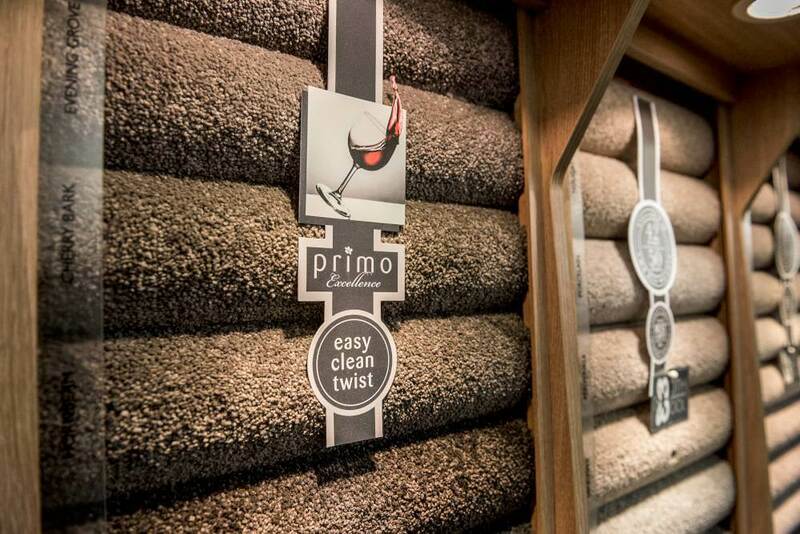 Bring some luxury to your home with a wool carpet. Wool is a natural fibre that will last well and is resistant to wear and tear, plus it’s available in various textures. Manufacturers of award-winning UK carpets. A unique and quirky carpet range, for something a little different. Carpets made for a blend of innovation and performance. Beautifully crafted carpets with a Royal Warrant. UK-based manufacturers of wool carpets. Luxury carpets made with beautiful craftsmanship. Beautiful wool carpets made in the UK. A range of carpets that represent excellent value for money. Carpets from a company with a long history of weaving. 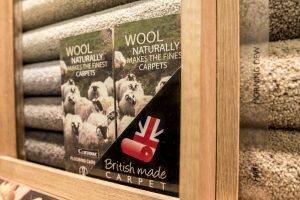 The largest privately-owned manufacturer of quality carpets in the UK. 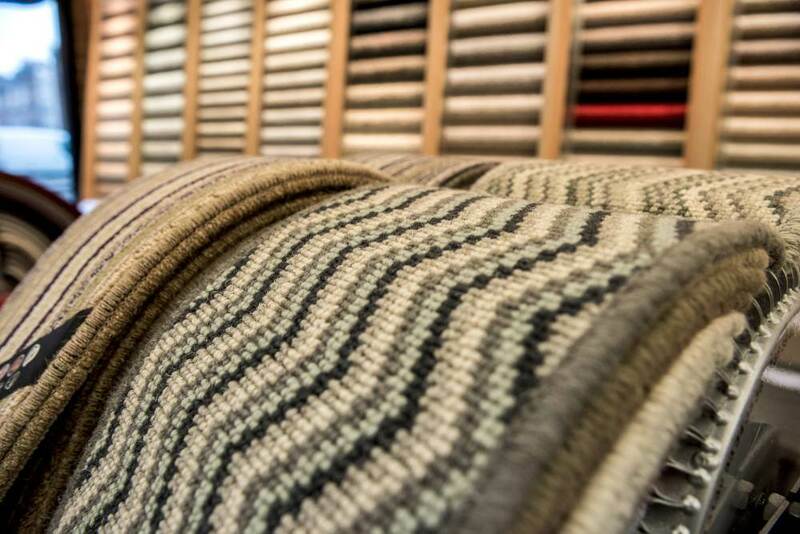 A leading British carpet manufacturer since the early 1970s. Designers and manufacturers of tufted and woven carpets. Major suppliers of commercial carpets and floorcoverings. Woven and tufted carpets made using the finest British wool blends. If you have already fallen in love with another brand, just let us know. We will be happy to source other brands for you. Nothing beats the look and feel of a high quality carpet underfoot. A high quality carpet looks beautiful and can really lift the appearance of your home. 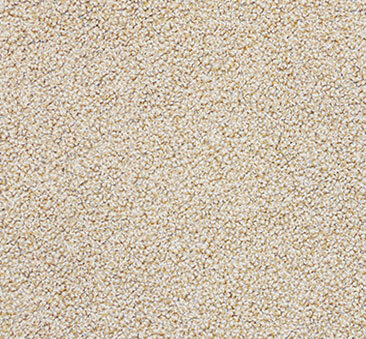 Our carpets are available with stain protection built in to help reduce staining. No other flooring type will feel as warm and cosy underneath your feet. A carpet can help keep heat in, saving you money on your energy bills. Carpets create a non-slip surface that is safe for the whole family and good for pets. Fill in the form and let us know which of our services you are interested in, and we will call you back. 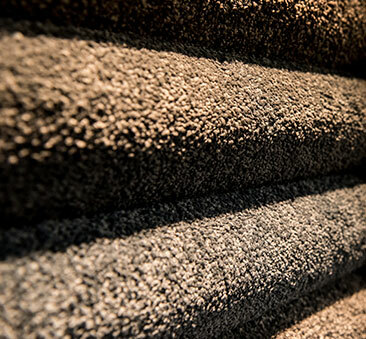 We lay your carpets professionally and can advise on all necessary processes for fitting. We will check floorboards – if they’re damaged, we might advise fitting plyboard sheets first to give a neat finish and improve insulation. We can also discuss underlay options. Generally, we will use Cloud 9 underlay, as it is a market-leading brand and offers plenty of choice. We will visit your property to measure up. 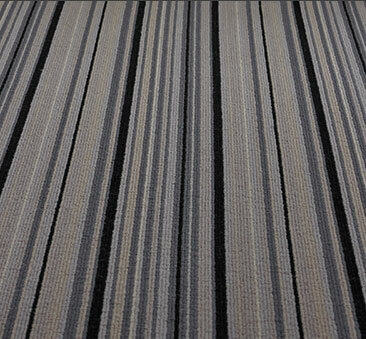 If you want to see samples of carpets you can choose, we will bring these to the appointment. We provide a full consultation. We ensure we understand exactly what you need. We will discuss underlay options and, if required, make sure we book in enough time to fit this as well. Your estimate will be with you within 48 hours. We will add in prices for all the flooring you are considering so you can compare your options. We will confirm your order. From now on, the price is confirmed so you know exactly how much the project will cost. Fitting will be booked in at a time convenient for you. This is usually around 7-10 days after we measure up. If required, we can also move furniture, and put it back into its original position afterwards. We leave your home looking beautiful. We clear up fully, and many customers tell us we leave their homes cleaner than before we started! We can come to you and show you some flooring samples, or you can come and visit us at our showroom. Find us at 102 Beckenham Road, Beckenham, Kent BR3 4RH.